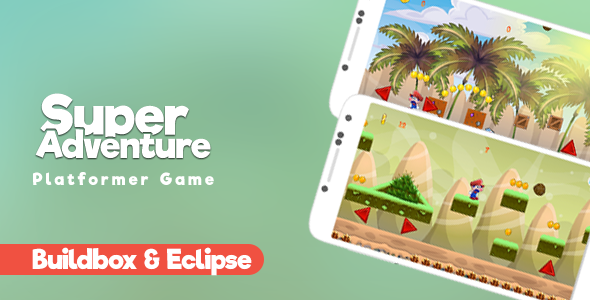 Super Adventure | AdMob | Buildbox & Eclipse - CODELISTPRO | Free Premium Scripts, Plugins, Apps Source Code. WHEN YOU BUY THIS ITEM YOU’LL GET THE BUILDBOX 2 TEMPLATE AND ECLIPSE PROJECT. This template is very easy to reskin, which includes Eclipse steps to import the project and export apk file.